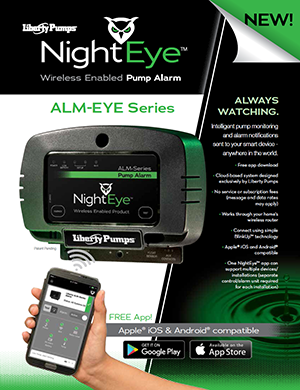 Know what's happening with your pump - anywhere in the world, with NightEye® wireless connected products by Liberty Pumps. Intelligent pump monitoring and alarm notifications sent to your smart device - anywhere in the world. 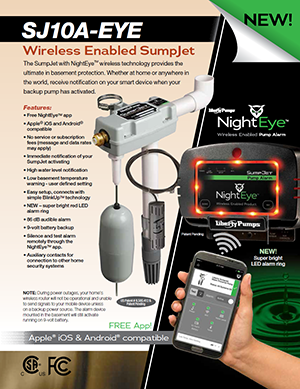 The SumpJet with NightEye® wireless technology provides the ultimate in basement protection. 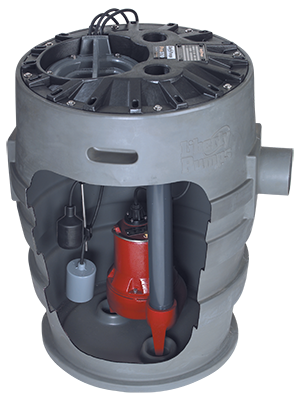 Receive notifications anywhere in the world on your smart device when your backup pump has activated. 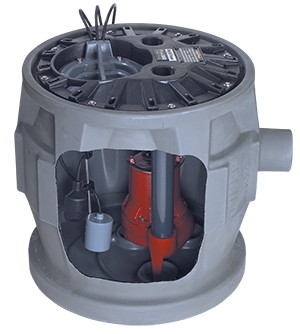 The StormCell® 442-Series, Battery Back-Up Pumps, is available with optional wireless enabled technology. The NigthEye® cloud-based system provides constant monitoring of your backup pump. 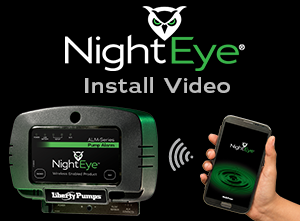 The Pro380 , Pro370 and ProVore380 packages will now be available with optional NightEye® alarms for Wi-Fi connectivity and remote notification sent to your smart device!.